Artemis Racing wins the RC44 Virgin Gorda Cup and Team Nika the overall 2015 RC44 Fleet Racing Championship! Organised by the Royal Ocean Racing Club in association with the International Maxi Association and supported by Marina Lanzarote, Camper & Nicholsons Marina, Port Louis Grenada and Grenada Tourism Authority. Only the second day into the RORC Transatlantic Race and race tactics, unbelievable speed and boat damage have already added to the story. Gonzalo Botin's Spanish Class 40, Tales II, diverted into Tenerife last night. All four crew are fine but they have sustained damage to their port rudder and need to weld the problem before the Spanish team continue racing. Meanwhile Mike Gascoyne's British Class 40 Silvi Belle 2 has been eating up the miles. Mike knows all about unplanned pit-stops having spent 30 years in Formula One and expects Tales II to come roaring out of Tenerife. Tales II showed extraordinary pace at the start and will be looking to chase down Silvi Belle 2 once they get back out on the race track. Despite the northerly route looking to be the most favoured option at the start, the two MOD 70s, Phaedo3 and Concise 10 turned south after passing Tenerife shortly after dusk on the first day, Lloyd Thornburg's Phaedo3, skippered by Brian Thompson chose a line to stay off Tenerife, whilst Tony Lawson's Concise 10, skippered by Ned Collier Wakefield gybed south earlier and played the Tenerife coast, presumably looking for acceleration in the wind. Acceleration is an apt word to describe these two ballistic MOD 70s as both trimarans have averaged over 20 knots and have hit top speeds of over 30 knots. They are likely to have covered an astonishing 600 miles in the first 24 hours. On board it will be full on and whilst the MOD 70s are built to take on the Atlantic Ocean, there are no creature comforts on board and the incessant noise and motion means that sleep is almost impossible. However, at around 1200 GMT on Day Two the two MOD 70s will negotiate a high pressure ridge located off the West African coast which will slow their progress. The big decision will be when to gybe west. Phaedo3 sporting a new set of sails and a more experienced crew holds a 40 mile advantage and the weather gauge, as they are further west than Concise 10. It will be interesting to see who gybes first and what the reaction will be. There is a different opinion towards tactics amongst the three powerful Maxis taking part in the RORC Transatlantic Race. Jean-Paul Riviere's French Finot Conq 100, Nomad IV was in her element last night, blast reaching across to Tenerife in Atlantic swell and by 0900 GMT on Day Two the French Maxi had opened up a 40 mile lead on Southern Wind 94, Windfall, skippered by Irish Olympic sailor Timothy Goodbody. In the early hours of Day Two, Will Apold's Canadian Swan 78, Valkyrie chose a different option to the other Maxis. Leaving La Palma to starboard, Valkyrie looks to be taking the southerly option chosen by the two MOD 70s. Valkyrie is narrower in the beam than Nomad IV and Windfall and has better upwind performance, especially to her IRC Rating. Perhaps Valkyrie is looking to punch through the high pressure ridge to the south. Their course displayed on the YB Tracker page will reveal all. Gerald Bibot & Michel Kleinjans contacted the RORC Race Team this morning to report their position by satellite phone from Zed 6. The Belgian catamaran is the most northerly of the fleet and after less than 24 hours racing, there is 300 miles of weather gauge between Zed 6 and the MOD 70s to the south. The two extreme tactics will play out interestingly as their courses converge on the other side of the ocean and time correction is applied for Gerald's smaller, less powerful boat. MOD70 Delivery down to Lanzarote for the RORC Transatlantic Race - Sometimes the hardest part of a race is getting to the start line! Team Concise's MOD70 makes her way down through tough conditions to the start of the RORC Transatlantic race. Published on Nov 26, 2015. 2015 Race Updates | News: "The second edition of the RORC Transatlantic Race got away as scheduled from Marina Lanzarote with the fleet enjoying a reaching start in Atlantic swell and a solid 15 knots of breeze from the north east. Close battles are expected within the fleet for the next 3,000 miles before the yachts reach the finish at Camper & Nicholsons Port Louis Marina in Grenada. "A fantastic start," enthused Eddie Warden Owen, Chief Executive of the Royal Ocean Racing Club. "Beautiful conditions for the fleet which all got away extremely well under full sail. Every single yacht competing in this race has been so well prepared and they are all expecting a very competitive race across the Atlantic...."
Northerly Route Likely for the Start | 2015 Race Updates | News: "... Gerald Bibot's Belgian 42ft catamaran, Zed 6 is likely to be one of the first yachts to finish the 3,000 nautical mile race and will be hoping to win the Multihull Class after MOCRA time correction. Racing with Gerald will be Michel Kleinjans, who has set numerous world records, including the Round Britain and Ireland and Round Ireland races. Gerald Bibot is the founder of Great Circle which produces the revolutionary weather prediction and routing programme Squid. One of the features of Squid is Ensemble Modelling, running 20 related but different analytical models and then synthesizing these results into a single spread in order to improve the accuracy of predictive analytics...."
Regatta cancelled after shipping blunder | The Royal Gazette:Bermuda Sailing: "The Flying Phantom Series finale has been cancelled. The regatta featuring 18-foot foiling catamarans, which was scheduled to take place on the Great Sound next week, was supposed to start on Sunday. However, the start was postponed after a container housing ten Phantom catamarans from Europe arrived on the Island on November 16 on the Oleander cargo ship, but was mistakenly then shipped to New York the following day. Despite efforts to salvage the event, including having the boats returned to the Island by Monday, the decision has been made to cancel the regatta." A highly varied fleet with fascinating competitors will set off on 28th November from Lanzarote - the most eastern island in the Canary Islands chain - bound for the island of Grenada in the Caribbean in the RORC Transatlantic Race, organised by The Royal Ocean Racing Club in association with The International Maxi Association. Two MOD 70s will be locking horns in the 2015 RORC Transatlantic Race, aiming for line honours and victory in a highly competitive, high-speed duel: Lloyd Thornburg's Phaedo^3 and Tony Lawson's Concise 10, skippered by Ned Collier Wakefield are capable of a top speed in excess of 40 knots and an average 25 knots for the race. Two of the world's fastest multihulls could complete the 3000 nautical mile course in just five days. The two MOD 70s have raced each other twice. Concise 10 got the better of Phaedo^3 in the Artemis Challenge, around the Isle of Wight Race and Phaedo^3 squared the match, beating Concise 10 in the Rolex Fastnet Race. The RORC Transatlantic Race will be the first transoceanic race between two fully crewed MOD 70s for over three years and it is highly likely that the race will be incredibly close. In the last fully crewed Transatlantic Race featuring MOD 70s, three teams finished within two hours of each other. "There is no difference in speed between the two boats and it will come down to tactics and navigation," explains Thompson. "The MOD 70 is the best boat in the world; super-fast, very strong and reasonably safe offshore. In terms of navigation, once we leave Lanzarote we will have to negotiate the Canary Islands which will be an interesting conundrum before heading towards Grenada. Then it is principally a downwind course, although at this time of year, there is the choice of going north to hook into a cold front or going south to find the trade winds. During the race, squalls are always a big factor and this is a very open race course, so we could be hundreds of miles apart, but we will be watching each other and I think this will be a really close race. The last few hours could be very interesting. Which side of Barbados to go will be in the mix and we could see some double bluffing going on. It is quite rare to have this opportunity and a big thank you to the RORC for organising the race. We are very glad to be supporting it and the RORC Transatlantic Race is the perfect way to arrive for the RORC Caribbean 600." The exciting addition of two MOD 70s in the second running of the RORC Transatlantic Race led to the decision to move the start location to Puerto Calero's sister facility Marina Lanzarote which is conveniently located in the island's capital Arrecife. The brand new Marina Lanzarote will host the start of the 2015 RORC Transatlantic Race on Saturday 28 November. Calero Marinas, committed to hosting the RORC Transatlantic Race for the next three years. José Juan Calero, Managing Director for Calero Marinas and RORC Chief Executive, Eddie Warden Owen. Established in 1925, The Royal Ocean Racing Club (RORC) became famous for the biennial Fastnet Race and the international team event, the Admiral's Cup. It organises an annual series of domestic offshore races from its base in Cowes as well as inshore regattas such as the RORC Easter Challenge and IRC National Championships in the Solent. Rolex New York Yacht Club Invitational Cup 2015 - Highlights - Published on Nov 10, 2015: The Rolex New York Yacht Club Invitational Cup in September 2015 brought together 17 teams from 11 countries for a pure test of yachting skill. After five days of intense competition, the Royal Thames Yacht Club (UK) emerged as the overall winner, taking home the Invitational Cup trophy and a specially engraved Rolex timepiece. The teams raced on identical New York Yacht Club Swan 42 boats equipped with the same sails, rigging and equipment. This biennial regatta promotes the Corinthian spirit, the highest standard of amateur yachting, rewarding preparation, teamwork and expertise – qualities that are prized by Rolex, Title Sponsor and partner of New York Yacht Club. Above is a satellite image at 11:45 UTC (7:45 a.m. EDT) on October 1 depicting the approximate final position of the SS El Faro in relation to Hurricane Joaquin. NTSB Preliminary Report (pdf) on the fate of El Faro: "On Thursday, October 1, 2015, about 07:15 a.m. eastern daylight time, the US Coast Guard received distress alerts from the 737-foot-long roll-on/roll-off cargo ship El Faro. The US-flagged ship, owned by Sea Star Line, LLC, and operated by TOTE Services (TOTE), was 36 nautical miles northeast of Acklins and Crooked Islands, Bahamas, and close to the eye of Hurricane Joaquin. The ship was en route from Jacksonville, Florida, to San Juan, Puerto Rico, with a cargo of containers and vehicles. Just minutes before the distress alerts, the El Faro master had called TOTE’s designated person ashore and reported that the ship was experiencing some flooding. He said the crew had controlled the ingress of water but the ship was listing 15 degrees and had lost propulsion. The Coast Guard and TOTE were unable to reestablish communication with the ship. Twenty-eight US crewmembers and five Polish workers were on board. The Coast Guard deployed helicopters and search vessels to the ship’s last known position, but the search was hampered by hurricane-force conditions on scene. On Sunday October 4, a damaged lifeboat, two damaged liferafts, and a deceased crewmember wearing an immersion suit were found. On Monday, October 5, a debris field and oil slick were found, and the Coast Guard determined that the El Faro was lost and declared the event a major marine casualty. The Coast Guard suspended the unsuccessful search for survivors at sundown on Wednesday, October 7. On Tuesday, October 6, the National Transportation Safety Board launched a full team to Jacksonville to lead the federal investigation in cooperation with the Coast Guard, the American Bureau of Shipping (the El Faro’s classification society), and TOTE as parties. The US Navy Salvage and Diving division of the Naval Seas Systems Command was contracted to locate the sunken ship, assist in the sea floor documentation of the wreckage, and recover the voyage data recorder." SS El Faro (Wikipedia): "... On October 19, the USNS Apache departed from Joint Expeditionary Base Little Creek–Fort Story in Virginia Beach, Virginia to conduct the underwater search for El Faro. The vessel was equipped with a towed pinger locator, side-scan sonar, and a remotely operated vehicle. The search crew identified a vessel on October 31 at an approximate depth of 15,000 ft (4,600 m); the NTSB reported the object to be "consistent with a [790 ft (240 m)] cargo ship...in an upright position and in one piece." On November 16, 2015, the National Transportation Safety Board announced it has completed its search of the sunken ship, but did not find the voyage data recorder..."
"Not sure if you've been following the weather at all, but there is a hurricane out here and we are heading straight into it Category 3. Last we checked, winds are super bad and seas are not great — love to everyone." Coast Guard rescues man, pets from sailboat near Raccoon Island, NC: November 19, 2015 Wilmington, N.C. — The Coast Guard rescued a 68-year-old man and his two pets Thursday from a grounded sailboat near Raccoon Island. Coast Guard watch standers were notified Thursday the 36-foot sailboat Scampo with a man, his dog and his cat aboard ran aground. A 45-foot Response Boat-Medium crew launched from Station Hobucken and arrived on scene at 1 p.m. The boat crew rescued the man and his two pets and transported them to Oriental Marina & Inn located in Oriental at 2:30 p.m. There were no injuries reported, and the owner plans to have the sailboat towed. Video above: Qualified nations form the 2015 Worlds Championships - a few people who have just qualified their nation for Rio 2016! Jules Verne Trophy updates: spindrift-racing.com and idecsport-sailing.com. Transat Jacques Vabre Results - A Finale for Four for Class 40 | Transat Jacques Vabre 2015 : Le Havre - Itajai | October 2015 | Take to the seas and act for the planet: "Proving the racing is as intense among the tail of the fleet as it was among the pacemakers, four Class 40s finished into Itajaí, Brazil between 2307hrs last night (Sunday) and 0818hrs this Monday morning. There was just 1hr and 40 minutes between seventh placed Groupe Setin (Manuel Cousin and Gérald Quéouron) and the all-girl duo Philippa Hutton and Pip Hare who finished ninth this morning on Concise 2...."
Spindrift 2 Departure for the Jules Verne Trophy - Published on Nov 22, 2015: On Sunday, November 22nd, 2015 at 4:01:58 GMT, the trimaran Spindrift 2, led by Yann Guichard and Dona Bertarelli, crossed the start line that runs from Créac’h lighthouse (Ushant island, France) to Lizard Point (England) for the start of her crewed non-stop circumnavigation. The boat crossed the line in a north wind of around 10 knots, under a full mainsail and a solent. Read more at Spindrift racing. IDEC Departure for Jules Verne Trophy: The suspense around the weather window ended Saturday noon in the port of Château in Brest, when Francis Joyon and his five crew members have gone into "green code", meaning an imminent departure. A few hours later, they were dropping the moorings of big red trimaran: "We are betting that the weather situation in the South Atlantic will become favorable, when a window is displayed, you must enter the" smiled Francis Joyon. And then here, they left towards Ushant--IDEC SPORT set off at 02:02:22 UTC on Sunday 22nd November 2015. The time to beat: Loïck Peyron and his crew (Banque Populaire) with a time of 45 days, 13 hours, 42 minutes and 53 seconds. To smash the Jules Verne Trophy record, IDEC SPORT has to be back across the line before 1544hrs on Wednesday 6th January. The crew: The international crew on IDEC SPORT includes just six men: Francis Joyon (FRA), Bernard Stamm (SUI), Gwénolé Gahinet (FRA), Alex Pella (ESP), Clément Surtel (FRA) and Boris Herrmann (GER). More info: idecsport-sailing.com. Published on November 21, 2015 Claude Breton. A fan. A crazy wind and ocean, a lover of all that the sea, flying, surfing, then flits and flies. He talks about WSSRC used in ... Let that one says: The WSSRC is the body responsible for formalizing world speed records on the water. Claude Breton is its president. It was he who holds the official chronometers Jules Verne Trophy. The Jules Verne Trophy's starting point is defined by an imaginary line between the Créac'h lighthouse on Ouessant (Ushant) Island, France, and the Lizard Lighthouse, UK. Circumnavigate the world leaving the capes of Good Hope, Leeuwin, and Horn to port. Cross the starting line in the opposite direction. The starting line is open as of the official ratification of the trophy's rules by the World Sailing Speed Record Council. Propulsion of the boat must solely be by natural forces of the wind and of the crew. The Jules Verne trophy is open to any type of boat with no restrictions. Crew size is not restricted. The circumnavigation must be completed non-stop and with no physical outside assistance. Challengers must respect safety rules. Spindrift 2’s team for Jules Verne Trophy announced | Spindrift racing: "To undertake the crewed around-the-world record is as much about the human adventure as it is a technical and sporting challenge. The men and women working alongside Dona Bertarelli and Yann Guichard at Spindrift racing have been preparing this race against the clock for almost three years. The target: to sail around the world in less than 45 days, 13 hours and 42 minutes. The tough record they will try to beat was set by Loïck Peyron and his crew in 2012 on Banque Populaire V, which was renamed Spindrift 2 a year later." ST-Barth Cata-Cup 2015-DAY 1 from St Barth Cata Cup (Vimeo). St Barth Cata Cup 2015 - Teaser from St Barth Cata Cup (Vimeo). R4WO - AZORES TO BERMUDAS LEG - Published on Apr 6, 2015: The "Race for Water Odyssey" (R4WO) is an expedition that aims to reach the beaches of islands located in the ocean's 5 vortexes of trash, in order to conduct the first global assessment of plastic pollution in oceans, and highlight its consequences on the populations. All this, in a record time of under 300 days, thanks to a racing trimaran, the "MOD70 Race for Water". R4WO hopes to find answers to this question, which represents the worst ecological catastrophe in history. R4WO - CAPSIZE OF THE MOD70 RACE FOR WATER (EN) Published on Sep 23, 2015: On her way from the Koror Islands to Chagos Islands, in the Indian Ocean, the MOD70 trimaran "Race for Water" capsized on Saturday 12th of September at 8:15PM (GMT +1), 90 miles South East from the Chagos Archipelago. As they were navigating by night with 18 to 20 knots of wind, a strong gust of wind turned the boat over. News - Race for Water: "The Race for Water Odyssey (R4WO) is back in Bordeaux to conclude this unprecedented human and scientific adventure started in the same city on 15 March. In nine months, the R4WO has made 17 stops in the Atlantic, Pacific and Indian to explore, analyze and raise awareness of water pollution by plastic. A first observation, dramatic: the plastic pollutes everywhere. After traveling more than 32,000 miles across three oceans, sampled many beaches, encountered a thousand personalities, and experienced the painful ordeal of a capsize, environmental expedition found today the city starting its journey . In Bordeaux, it makes an initial assessment of these 9 months of data collection on plastic pollution and personalities and the public awareness about the urgency of action. Using a standardized protocol, based on that of NOAA, the expedition teams have sampled over 30 beaches, located in five major waste accumulation areas. The various partner institutions such as the Ecole Polytechnique Fédérale de Lausanne (Switzerland), the University of Bordeaux (France) and the University of Fribourg (Switzerland) are currently analyzing the collected samples. For their part, the Duke University and Oregon State (USA) study images taken by the drone of senseFly eBee company. Results are expected in 2016...."
Above: RORC Transatlantic Race 2014 - Transatlantique à la voile de Lanzarote à Grenade sur un Class 40 en 14 jours, du 30 novembre au 14 décembre 2014. 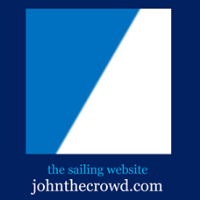 - Transatlantic sail from Lanzarote to Grenada on a Class 40 in 14 days, from November 30 to December 14, 2014. "Trying to get south at this time of year when you have depression after depression rolling across the Atlantic always makes things interesting, so it is going to be a fairly fruity delivery for Concise 10," commented Collier Wakefield. "We have had quite a lot of work to do on the boat to get ready for the RORC Transatlantic Race and with our base in Hamble and all the team living close by, there was no reason to leave earlier. We originally planned to leave on Monday 16th November but the change in that decision was driven by the weather. Our primary goal for the delivery is to arrive in one piece and with several weather depressions coming through, we are holding out for a weather window on Friday 20th November." Collier Wakefield describes the weather scenario: "This departure takes into account more favourable conditions with a shift in the breeze to the north west, we should have about 15-20 knots, a good angle to get out of the English Channel and past Ushant. The breeze is due to build later on to 35 knots and we really want to stay just in front of that all the way down, which will mean sailing the boat to about 80% of its capability until we reach Cape Finisterre. Once we make the Portuguese coast, the weather should settle down considerably with the depressions passing north over the top of us so we should have a fast downwind ride to Lanzarote. "At the moment, we are looking at three and a half days for the delivery, which over 2,000 miles will be very quick. We are looking at boat speeds often over 30 knots and in the early part of the delivery, the northwesterly wind chill factor will be about -5ºC, so it will be woolly hats, thermals, boots, full dry-suits, helmets and goggles." "Safety on board is always hugely important and is always at the forefront of our minds," commented Collier Wakefield. "We have been going through all of our MOB and capsize procedures and we have everything in place with Falmouth Coastguard. On deck, all of the crew will be wearing lifejackets at all times and a bum-bag containing an AIS Beacon, knife and torch - nobody is allowed on deck without them. We are very vigilant towards all aspects of safety. Concise 10 is carrying, to the letter, all of the safety equipment required for the RORC Transatlantic Race and we are sailing with the full race crew. "Once we get to Marina Lanzarote we will take a day off and then we will be sailing everyday to practice in the conditions for the RORC Transatlantic Race. We are really looking forward to it and it is exciting to line up against Phaedo again. We are under no illusions that they have had a lot more time on their boat than we have, and effectively it will be a one-design match race across the Atlantic. I don't want to ramp it up, but we have met each other twice and we have come out one-all so far. Phaedo have been pushing their boat hard, breaking lots of records and it is going to be very interesting to see how we come out against them. More than anything, it will be really enjoyable racing in two boats with such enormous capability in trade winds with Atlantic swell across an ocean." Marina Lanzarote is finalising preparations for the start of the RORC Transatlantic Race with a full social calendar for all competitors and invited guests. The Welcome Reception at the Real Club Náutico de Arrecife is on Monday 24th November with the Westerhall Rum Party, held in Marina Lanzarote the following day. There will be social activities every evening in the week before the start, including the Gala Dinner on Thursday 27th November. Bestaven and Brasseur on Le Conservateur win Class 40 into Itajai | Transat Jacques Vabre 2015 : Le Havre - Itajai | October 2015 | Take to the seas and act for the planet: "Yannick Bestaven and Pierre Brasseur sailing their Guillaume Verdier designed Le Conservateur won Class 40 in the 5400NMs two handed Transat Jacques Vabre when they crossed the finish line off Itajaí, Brazil at 2040hrs and 09secs UTC this Wednesday evening to conclude a long, tense duel with Maxime Sorel and Sam Manuard on the 2015 Manuard designed V and B. When Bestaven and Brasseur clinched their overall triumph, the runners-up Sorel and Manuard are about 12NMs from the finish line. Third placed Carac Advanced Energies is more than 250NMs behind." Around 1,000 participants on over 115 vessels took part in a memorable 12th Monaco Classic Week organized by the Yacht Club de Monaco and sponsored by Rolex. This biennial event showcases historical vessels that have left their mark on the Yacht Club de Monaco’s proud heritage, and the 2015 edition on 9–13 September attracted boats dating from 1885 all the way through to 1975. Over the course of the week, Monaco’s harbour becomes the focal point for exhibitions and competition – a cherished tradition and integral part of Monegasque culture. Monaco Classic Week - La Belle Classe: "Organised by the Yacht Club de Monaco from 11-15 September 2013, Monaco Classic Week – La Belle Classe reflects Monaco’s unwavering attachment to the sea and its maritime heritage. Launched in 1994, this biennial event stands out in that it brings together in one harbour the full spectrum of boats of yesteryear, from the small recreational craft to the luxury units: classic sailing yachts, 12’ Dinghies, motorboats, and period motor-yachts. Between tradition and the art de vivre la mer lifestyle, this is a week for strolling along the southern quay of the YCM Marina to admire these dames from another era, all restored to their youthful prime by their owners." Results here. The World Sailing Hall of Fame was created in 2007. Inductions are announced every three years, and the next induction will be in 2019. ... leaders Yannick Bestaven and Pierre Brasseur (Le Conservateur) and Maxime Sorelsailing with Sam Manuard on the Manuard-designed V and B.
I'm not sure if this is the correct forum, but... my husband is thinking of taking a tall-ship sailing cruise with a company called “Classic Sailing”. Hall of Famers | Volvo Ocean Race: "The careers and contributions of two Volvo Ocean Race legends have been celebrated at the ISAF Annual Conference in Sanya, China--Sailing’s governing body has announced that it is inducting the late Sir Peter Blake and Torben Grael into the World Sailing Hall of Fame – the highest honor in the sport. Introduced in 2007 to mark the centenary of the organisation, the elite list recognizes those individuals who have not only made a significant impact on the water, but also shown incredible dedication and passion to the sport whilst onshore...."
Video above: Race to Mackinac - The Storm to remember 2011 - Jul 31, 2011 - The J Crew'd team begins day two of the Chicago to Mackinac race. The winds are picking up but crew is somber as a storm with up to 100 knot winds takes shape on Lake Michigan. 2011 race with J105 team from San Diego. Your weight in rum on the line at regatta ... 19 boats race toward rounding last year during the St. Croix International Regatta, which opens today. Transat Jacques Vabre : le film de la victoire du trimaran MACIF - MACIF Trimaran victory in the Transat Jacques Vabre - Relive the first race and the first victory of the trimaran MACIF: 20.75 average actual speed, traveled 6340 miles from Le Havre, France, to Itajai, Brazil. Tanguy de Lamotte and Samantha Davies finish fifth IMOCA | Transat Jacques Vabre 2015 : Le Havre - Itajai | October 2015 | Take to the seas and act for the planet: "Tanguy de Lamotte (FRA) and Samantha Davies (GBR) on Initiatives Coeur crossed the Transat Jacques Vabre finish line at 1939hrs and 14secs UTC this Thursday evening to secure fifth place in the IMOCA class. Their elapsed time for the theoretical course of 5400NMs is 18d07h09m14s, setting an average of 12.30kts. In reality the duo sailed a course of 6124NMs averaging a speed of 13.95kts. Their delta behind IMOCA Class winners Vincent Riou and Seb Col is 1d 6hr 46min 50 secs... "
Lost at sea: the man who vanished for 14 months | World news | The Guardian: "... Alvarenga remained sitting, gripping the tiller tightly, determined to navigate a storm now so strong that harbourmasters along the coast had barred fishing boats from heading out to sea. Finally he noticed a change in the visibility, the cloud cover was lifting: he could see miles across the water. Around 9am, Alvarenga spotted the rise of a mountain on the horizon. They were approximately two hours from land when the motor started coughing and spluttering. He pulled out his radio and called his boss. “Willy! Willy! Willy! The motor is ruined!” “Calm down, man, give me your coordinates,” Willy responded, from the beachside docks in Costa Azul. “We have no GPS, it’s not functioning.” “Lay an anchor,” Willy ordered. Advertisement “We have no anchor,” Alvarenga said..."
Online yacht firm docks U.S. headquarters at FAU in Boca | www.mypalmbeachpost.com: "International yacht rental company Yachtico has opened its U.S. headquarters in Boca Raton, bringing another global marine business to a region known for its blue water industry. Based in Berlin, Germany, the online Yacht rental service was started in 2011 and now lists a fleet of 16,000 charter yachts in their network, said founder and CEO Steffen Brunn..."